I played him right before I played you JW and beat him he used all of his scouts in opening. Captain luit on all 3 lanes in front row than he pushed his marshal in between 3 pieces in my middle which one was spy and col I backed col down then hit with I believe scout so he was able to take colonel but then he just walked it back up in to spy. The. Just traded gen and since I had like 5 scouts left vs his none very easy to just get pieces and he lottoed his remaining col in to bomb resigned. I used a set up I had on YouTube so idk how much he could have been cheating. He did mention to me he doesn't have any other accounts nor does he play in live tournaments in Greece which I do find hard to believe about the account part. "Since he's played you so many times"
A new alias for Eniak, Ithi, Poppins, etc. Lottos with 1 immediately down left. If he gets enough high pieces, he just plays defense the rest of the game - He puts all his bombs in the middle. I played this guy two games back-to-back. Same exact, unusual setup (a bunch of bombs in a pattern on one side, flag unprotected and surrounded by a whole side of moveable pieces). First game he played cautiously, second game he brought his big pieces in a procession of "lottoing" and went all around every one of my bombs. I am fairly certain he is using the two accounts in tandem to scout and increase his rank by alternating between the counts. Oh I am glad that someone else posted about this guy. Now it makes sense (I assumed that he had cheated somehow, but I wasn't sure which other account I had played him on). By the way, he doesn't always use his marshall for lottoing. If he has scouted you and know where you might have your marshall, he will bring his general and "lotto" with it by taking every piece he discovered before when he scouted your setup. Matchpoint- 824 ELO, 300-80 ratio. Almost certainly one of those players who plays someone on one account then lottoes them when they get matched up on their other account. Came down with marshal on right side, took colonel, captain, major, then traded marshals. Then with this big of a lead, he takes his colonel and lottoes about 5 other pieces, among them 2 capts and a major. Lots of bombs on left side. Met Calm Down this AM . They flew the flag of Cyprus--white with orange green at the center/the island I believe . I have met this player under mult. accts always same flag. In chat they never disagreed with my accusations about scouting set-ups. They also favor( Axax ) in chat for a laugh ! Not the best record but then again they are not interested in pts on THIS acct ! Just saw slowmutant8 bumped into Calmdown here was an earlier post on this player. Nordicbam=Koronet and a few others flying white flag with it looks like flower in center. Edited by rgillis783, 11 January 2019 - 08:59 PM. #Lifehacks road to 2k ELO. Spread a Rumor that your cheating to get people to give up setup phase! TartanArmy - new account, lottos with marshal down my left straight away, killed about 6 pieces without hitting a bomb or spy. The good thing is: this person most time plays with the same setup. 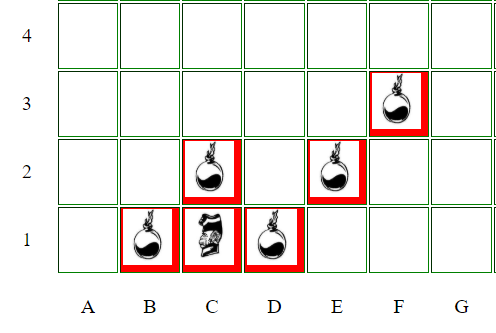 If you get used to the bombs in the middle and the special placement it is easy to play against. Hope that info proves helpful to some of you guys. maybe someone can update me regarding the player superspiderman. I have a vague suspicion. I think I found another account of this player - giveuagagreflex - same modus operandi, but he disconnected before I could determine bomb setup. Came with general quicly on left and lottoed down the left and marsh came from front row on right, went down right and lottoed. At least he surrendered instead of disconnected, so probably not Eniak/Airmail, etc. Thesi, lottoed perfectly with general on the right.